The Friends of THIRTEEN marked its 50th Anniversary as ambassadors for public broadcasting in the New York community with a celebration at the Metropolitan Club on November 1, 2017. Celebrating flagship PBS station THIRTEEN and the Friends’ early years, the gala luncheon revisited landmark moments and accomplishments through 50 years of WNET’s history. Shapiro presented veteran journalist Bill Moyers with the Friends of Thirteen 2017 Inspiration Award. Moyers was honored for his lasting contributions to public television. Moyers was a guest panelist at a Friends’ luncheon in 1969. It was this event that prompted him to leave his position as publisher of Newsday and move to public television. NYC-ARTS co-host Paula Zahn introduced a performance by The Knights. The Knights are a collective of adventurous musicians, dedicated to transforming the orchestral experience and eliminating barriers between audiences and music. Colin Jacobsen and Eric Jacobsen, The Knights’ founders and artistic directors, performed with the ensemble. The event also commemorated the 50th Anniversary of the signing of the Public Broadcasting Act of 1967, which established the model for federal support for public media. MetroFocus co-host Jack Ford moderated a sit-down conversation with Bill Moyers and The Honorable Joseph A. Califano, Jr.
Moyers had been “present at the creation” of public media, shepherding the White House task force that would eventually produce the Public Broadcasting Act of 1967. Califano, President Johnson’s chief assistant for domestic affairs from 1965 to 1969, the bill was signed on November 7, 1967. It changed the face of public media forever. Other notable attendees included Mae Wong Miller, Chairman Friends of Thirteen, Dorothy Pacella, Executive Director Friends of Thirteen, Rosalind P. Walter, WNET Trustee, longtime supporter of the Friends, and Luncheon Honorary Co-Chair; and Jane Williams, WNET Trustee, Chair of the Education Committee, and Luncheon Honorary Co-Chair. Jack Ford, MetroFocus co-host, served as program host. 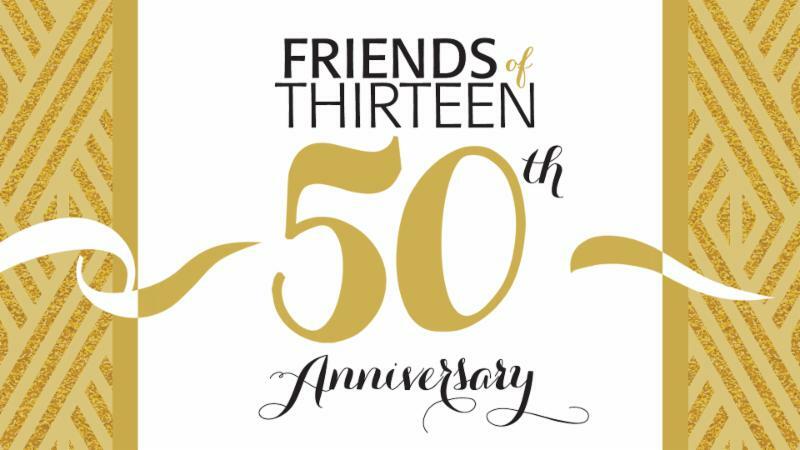 To learn more about the Friends of THIRTEEN visit their website!